The last week has been a bit of a mixed one, both weather and health wise. We’ve had beautiful sunshine and torrential rain, and I’ve had better days and not so great days. It’s also been quite a busy week, which I’ve found a bit of a struggle, especially with the humidity. But it has been nice to see the sun and for it to feel a bit more like summer! Last Sunday I had quite a long lie-in, as I was absolutely shattered after the Hen Do the day before. I’d planned to see my friend, Lilli, as we hadn’t seen each other for ages, but she knew I wasn’t feeling great so we decided to make it very relaxed. 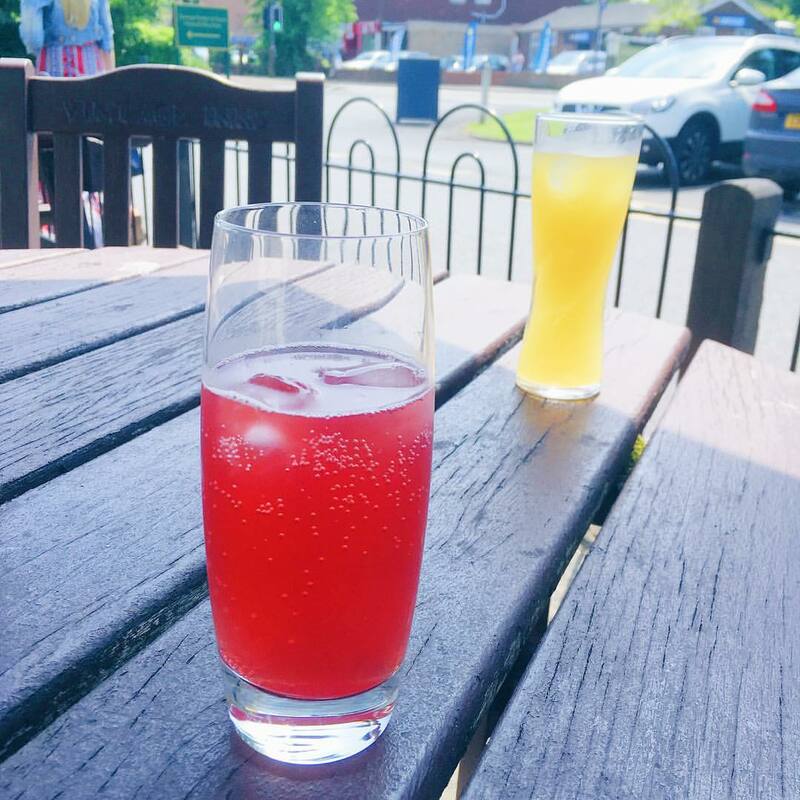 As it was so lovely and sunny, she picked me up and took me to a local pub, where we sat in the sunshine and had a drink. I had a raspberry lemonade and we had a nice catch-up for half an hour or so. Lilli then dropped me home and I rested for a while. In the afternoon I did some blogging and then watched The Jungle Book, as it was on TV. On Monday I got up later than I’d planned and only woke up because the phone rang and it was someone for me. My Dad took me to my local hospital and I had an ultrasound scan on my foot to see if I’ve got an inflamed nerve that’s causing the numbness and pain in my toes. I rested for a while when we got home and did a bit of admin on my laptop. Then, later in the afternoon, my Mum took me to the Opticians for a contact lens check-up and sight test. Thankfully my eyesight hasn’t deteriorated any further, but they found a spot on the lens of one of my eyes, which needs to be kept an eye on. I’m also going to try some different contact lenses, as I’m not getting on with the ones I’m currently using. 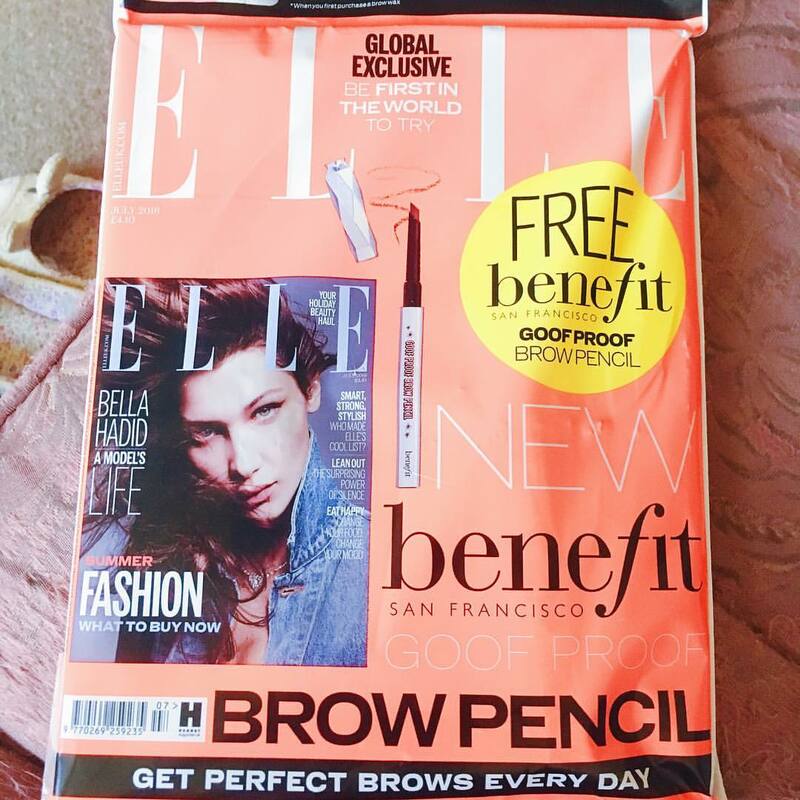 I also picked up this month’s Elle magazine, as I really wanted to try one of the new eyebrow products from Benefit. Tuesday morning I went to the hairdressers to get my red hair back so it’s nice for the wedding. It was good to get it done, but I was in a lot of pain and just couldn’t get comfortable in my chair. My Mum brought me home and I rested for a while. I popped out in the garden for a bit with the dogs, as my Mum was doing some gardening. 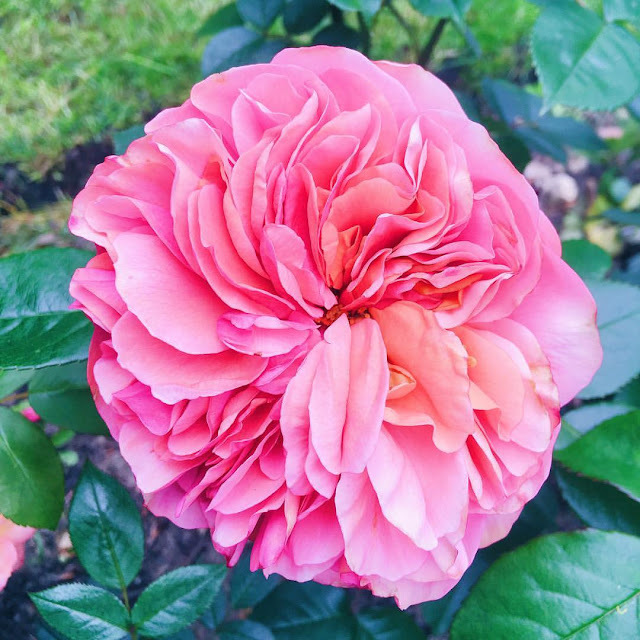 Our rose bushes are starting to flower, and one of them has these beautiful pink flowers on it. I spent the afternoon trying to catch up with my blog e-mails, but wasn’t particularly productive because I couldn’t get comfy. I’m very tempted to increase my Tramadol dose as I’m not seeing my Pain Doctor for another month, but I know it probably isn’t a good idea without medical guidance. On Wednesday I was meant to have a follow-up group meeting at the Pain Clinic, but found out earlier in the week that they’d got the date wrong. So I had a completely free day, which was exactly what I needed. I had a lie-in, and then spent the morning editing photos and blogging. I didn’t get as much done as I wanted, but something is better than nothing I guess. 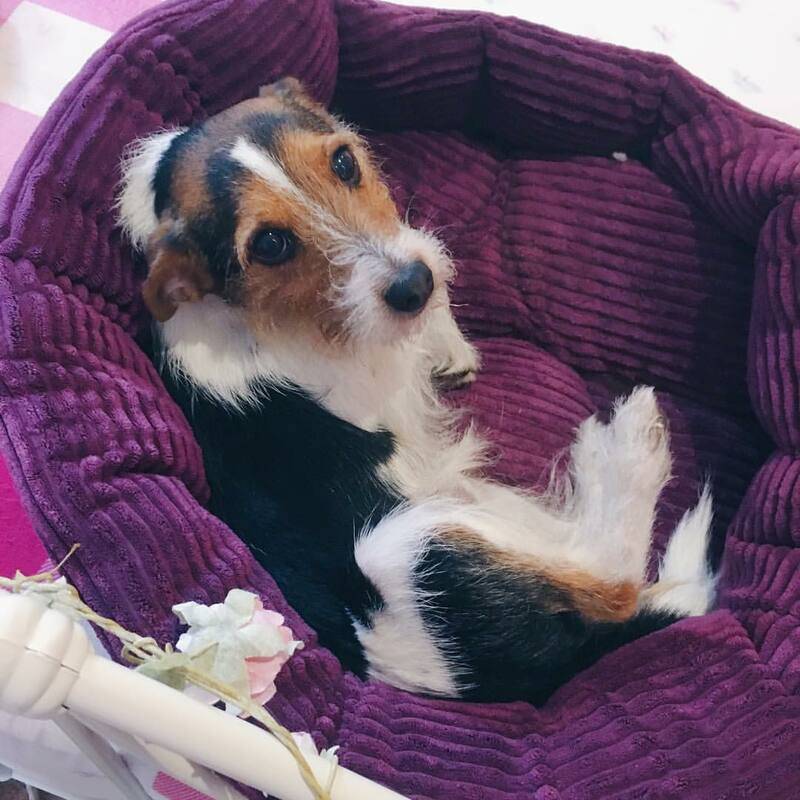 This little chap came upstairs to see me and decided to try out the cat’s bed! In the afternoon I caught up with a few e-mails and messages, and then managed to write to some of my penpals. I’m so behind with my letters, but I’m getting there slowly. Thursday brought with it a fairly quiet morning, as I slept until quite late. 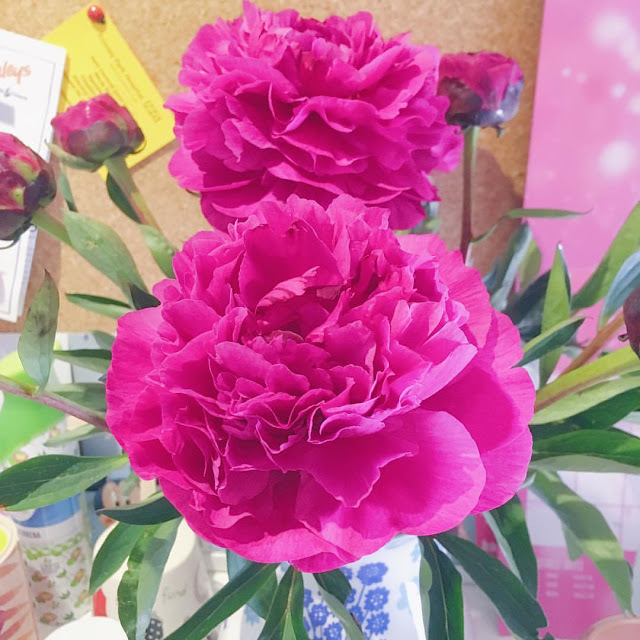 When I woke up I saw that my peonies had started to open – they’re so pretty! I spent the morning doing some tidying in my bedroom, but didn’t get as much done as I’d hoped because of the heat. In the afternoon I went to my friend, Katy’s, with my Mum. While she had her nails done I did some work on my laptop, then Katy did my eyebrows and I had a massage. I’m hoping it might help with the pain for a little bit. We then had to head round to pick up our bridesmaid dresses for next week. Friday was a bit of a wobbly day unfortunately. In the morning my Mum took me over to the Opticians so I could pick up some contact lenses to try out. I had planned to do some work on my laptop when I got home, but ended up falling asleep on the sofa. 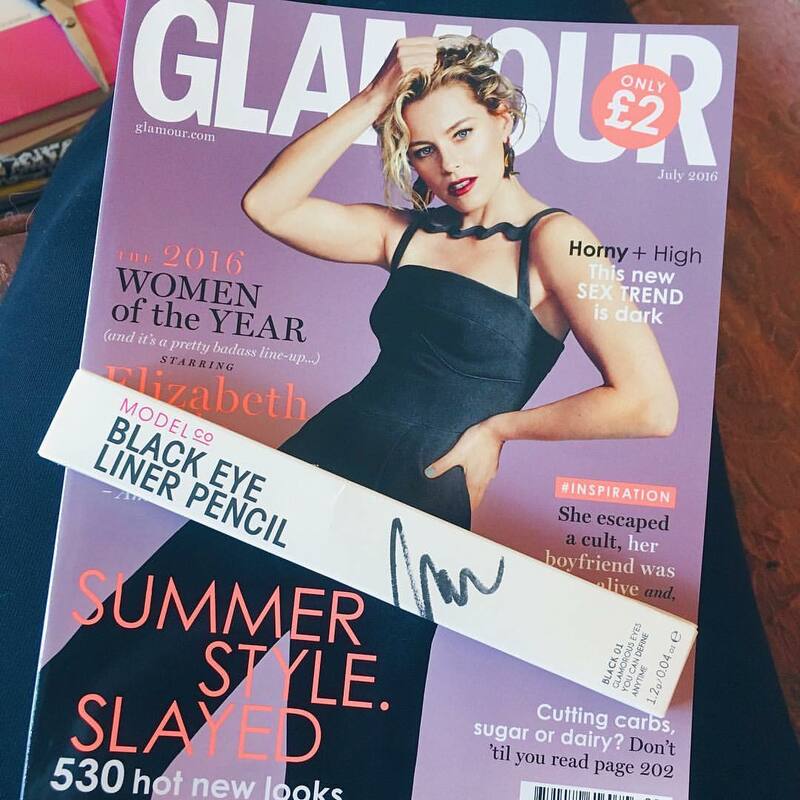 My Glamour magazine arrived, which was nice. In the afternoon I had an appointment with my GP. We went through some physical health stuff and then talked about my mental health. There were quite a few tears, but she was very kind and listened to what I said. Unfortunately there’s no possibility of getting any kind of mental health support though, so I’m feeling pretty scared and alone at the moment. I just feel like there’s no point in asking for help any more. I had a pretty bad evening and am struggling a lot with very dark thoughts. Yesterday, despite feeling absolutely awful, I made it to Festival Place to blog about their Eat Street event. Thank goodness for my lovely Mum who kept me propped up and pushed me round! 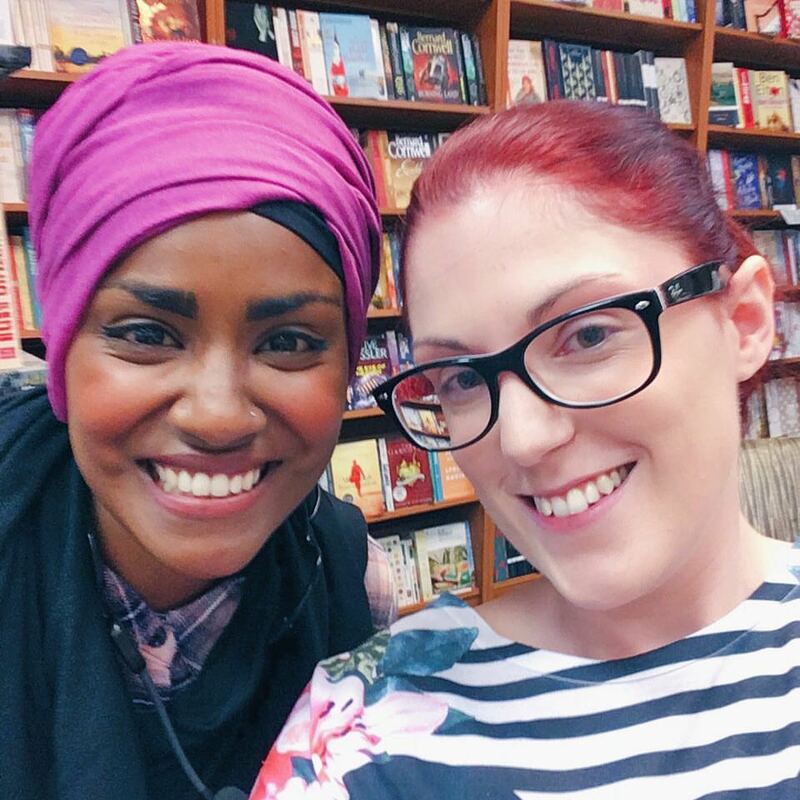 We watched Nadiya, who won The Great British Bake Off, do a cooking demonstration, and then I went to get her new book signed by her. She was very sweet and I also took a selfie with her. Mum and I did a bit of shopping, but then had to head home, as I was feeling too unwell. I’m really struggling with pain, especially in my head. I also seem to have developed pain in my face, which I’m finding hard to find any relief for. When we got home I collapsed on the sofa and managed to sleep for a while.